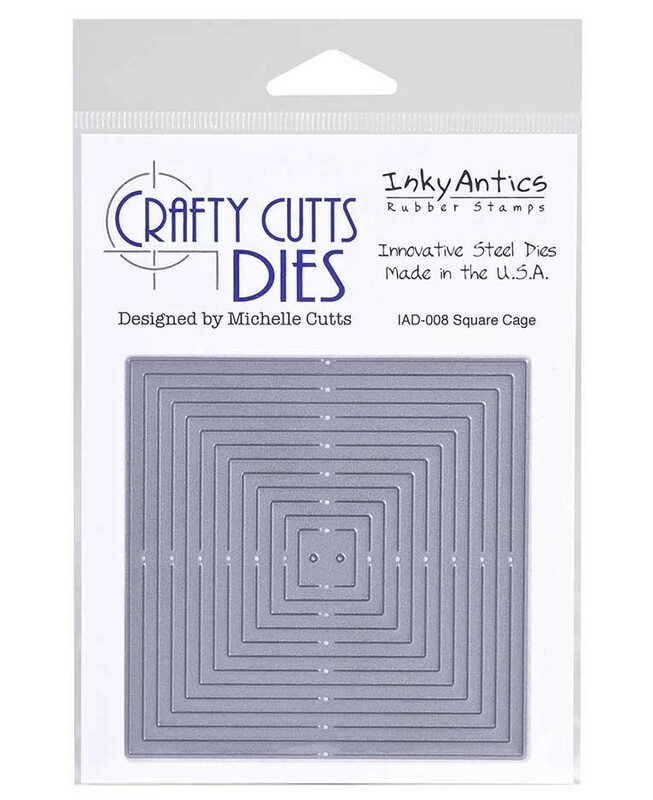 Use our Crafty Cutts dies to create clever paper crafting projects with unique interactive features. Designed for use with most tabletop die cutting machines for the ultimate in flexibility. 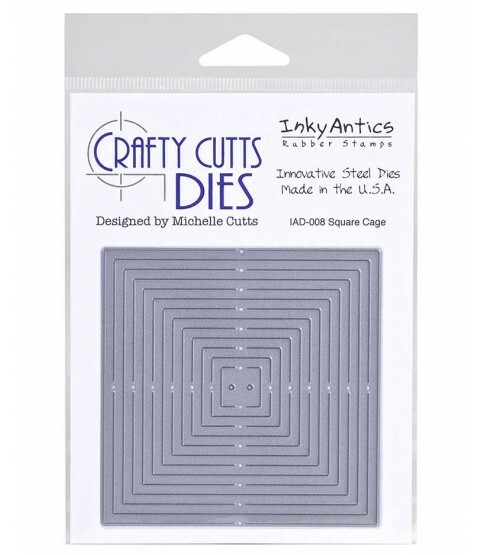 These dies help you achieve perfect cut and scored lines in just seconds. So easy and fun! Step-by-step instructions for this die is available here: Square Cage Instructions. For a delightful variation using the Square Cage die, step-by-step instructions to create a V-Fold Pop-Out are here: V-Fold Pop-Out. Made in USA of hardened steel for quality and durability.